"This is a win for the environment, a win for affordable housing and a win for a more livable Mt. Baker neighborhood. 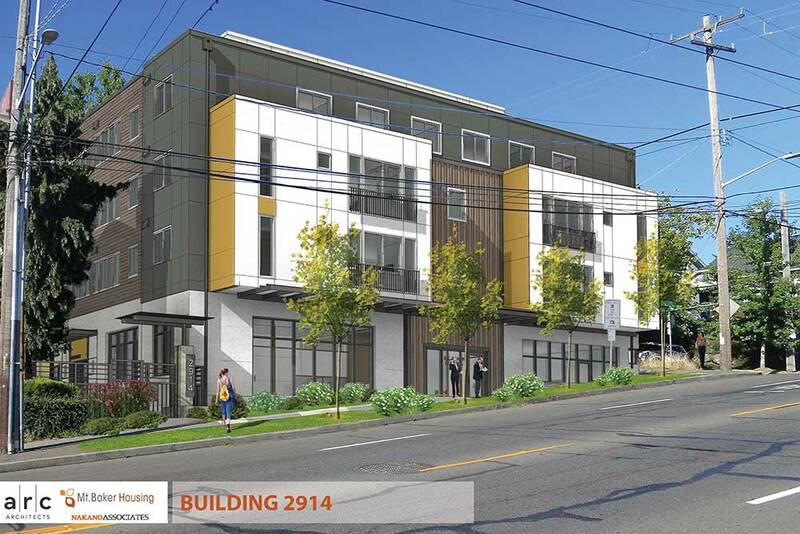 We continue to develop new and innovative partnerships to support more affordable homes all across Seattle. And today we celebrate a positive step forward to support sustainability and healthy communities." This is one of the most ambitious projects Mt. Baker Housing – or any other local non-profit housing developer – has ever undertaken. Mt. Baker Housing plans to add up to 150 new affordable, workforce and market rate units two blocks from a mass transit light rail station. Affordable retail and commercial space is also scoped. With this project, the aim is to create a safe, walkable corridor that connects the neighborhood and also brings jobs and life to an otherwise depressed corner. But, none of these benefits can be achieved without environmental cleanup of the space first and foremost. Unfortunately, the current site has land which is contaminated from dry cleaning solvents and petroleum waste from former businesses that were once located there. This contamination could pose a challenge for many private developers, but Mt. Baker Housing is actively working with several partners and the Urban Brownfield program through the Department of Ecology to clean up the site. Furthermore, the Seattle City Council has worked to designate the area a “Redevelopment Opportunity Zone.” This “RDZ” designation allows The Department of Ecology funds to seamlessly flow to Mt. Baker Housing for expedited assessment, cleanup and remediation. Other collaborators and partners includes representatives from King County EPA, the Washington Attorney General’s office, Perkins Coie, Kantor Taylor, Impact Capital and Aspect Consulting. Some see a dirty, contaminated site. MBH sees an environmental challenge to overcome and a great opportunity for affordable housing and retail. Mt. Baker Housing purchased Mt. Baker Village in 1988. It was Mt. Baker Housings first property and has been a great asset to the community ever since. The property is due for some improvements to ensure it will last another 30 years. Mt. Baker Village will be undergoing a major preservation effort to update building systems, materials and finishes. As part of this project, Mt. Baker Housing will also be adding a new construction building to help address some of the accessible needs on the site. This new building will have an elevator as well as more accessible units. The project is set to start April 2017 and work will last approximately two years. This extended schedule ensures that no existing residents will have to be dislocated from the property.